LIMITED TIME ONLY - READ THE OFFICIAL DOSSIER OF STAR TREK'S UHURA FROM WILLIAM ROTSLER'S AUTHORIZED STAR TREK TOS BOOK "BIOGRAPHIES"
"I simply did not want to rehash old material. I wanted to give the fans something new ... and I didn't want to bore myself doing it. So I conceived the "dossier" format. This included full name, serial number, birth place, dates, commendations, etc. This format, then, required the addition of first names, family, serial numbers, and so on where they had not previously been noted. 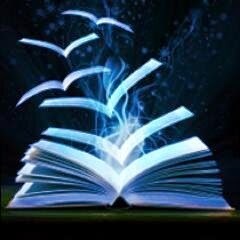 I used (1) my own memory; (2) Bjo Trimble's Star Trek Concordance; (3) Bjo's memory; (4) other obvious sources. So if it wasn't in the series, the two movies, the Concordance, or behind-the-scenes-"well-established"-fact, I ignored it. The whole idea was to use all reasonable sources, to make it fit in. I used some starship names from another book." 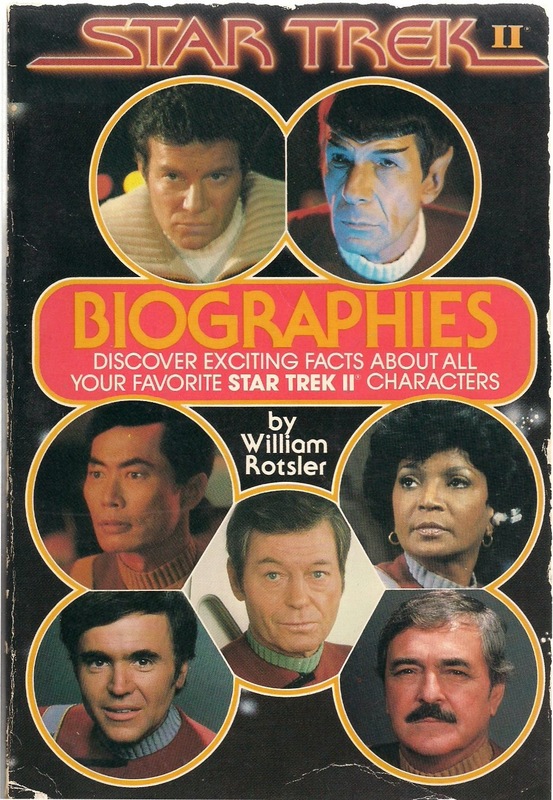 Below is the biography Rotsler wrote for Uhura. Since he needed a first name for her dossier entry, he chose the most appropriate he could imagine. Nyota (Swahili for "Star"). But before making a final decision, he decided to get input from the show's creator and the actress who portrayed her, Roddenberry and Nichols. Both enthusiastically endorsed the name. 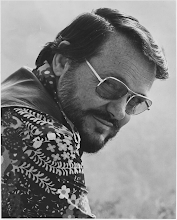 Rotsler was also the author of several science fiction novels of interest to TOS fans. You will learm more about them at the end of the entry. The Africa of young Nyota Uhura was not, in some ways, much different from the Africa of her distant ancestors. An hour's aircar flight from the gleaming, air-conditioned towers of Nairobi, you could see a herdsman tending his flock, hear the drums, smell the dust and flowers. The Africa of Tarzan, of Stanley and Livingstone, of the two-dimensional motion pictures was still there, although you had to search for it. In the great animal preserves of Kenya time had not moved all that much. True, the last remaining elephants were tagged with transponders, their wanderings tracked by satellite. The wardens patrolled in silent aircraft, the visitors were closely watched, the poachers few and ineffectual. The real Africa of Uhura's childhood was in the great pits of the mineral mines, the forest loggers, the humming factories and power centers of Addis Ababa, Nairobi, Salisbury, Johannesburg, Gambia, and Kinshasa. But still, there were the festivals, the recreations, the cultural parks that preserved and relived the common ancestry. To hear drums while watching a holographic story about space travel was not uncommon. The young Nyota—whose name means "Star" in the common trade language, Swahili—had feet in both worlds. Her roots were in the soil of an ancient land, but her heart was in the stars. In My Voyage in the Enterprise, Lloyd Alden recalled a conversation with Lieutenant Uhura after a relaxing evening in the recreation room with friends. "She said, 'I used to love to go to Kenya, to the great park there. They had restored it to the way it was in the nineteenth century, with rough, dusty roads and villages. My first time there I went out at night—I must have been seven or eight—and I was just stunned! I had never seen so many stars. I had lived in Nairobi all my life, and like any great city, the lights block out the stars. The Milky Way, the lens of the Home Galaxy seen on edge, was the most spectacular sight I had ever seen! I knew then I had to go there.'" In his autobiography, Where No Man Has Gone Before, James Kirk spoke of Uhura's early longing for the distant stars. "It was no secret that Uhura was a romantic. But that is hardly an uncommon condition aboard any starship. Romantics are basically restless, they want to see what is on the other side of the hill, the other side of a sun, the other side of the galaxy. It was just, perhaps, more obvious with Lieutenant Uhura." In Space, the Final Frontier, Uhura's own account of her years on the Enterprise, she wrote: "I went into the stars expecting. Expecting . . . what? I had no idea. Something. Something different. Something new. I certainly achieved that goal. There were more `somethings' different' to be found than I could have possibly imagined." I can't believe it! I received the notice from Starfleet Academy yesterday and I've been floating ever since! I've been accepted! I know the work will be difficult. The drop-out rate is amazing, I've heard. The failure rate is even higher. But when you have gotten through the Academy, you have done something! I guess I can tell you this now, but when you dropped out of good ol' Cairo U. to take an engineering post on that supply ship going to the moons of Jupiter, I envied you! Oh, I was so jealous! You were out there, seeing things for the first time, from space, and I was slugging it out at UC-Irvine and HAD NEVER EVEN BEEN OFF THIS MUDBALL OF A PLANET! But now—aha!—now I'm going to Starfleet Academy. Look out, stars, here I come! Congratulations on completing your first year at the Academy! Your father, brother, and sister join me in wishing you well. We are sorry you cannot come home this summer, but we understand your desire to attend further classes in music, which you could not have time for during the regular semesters. Your brother says that he must reluctantly report the death of Bruce, your favorite elephant, up in Kenya Park. Uaekundu says that she met a very nice young man while jetboating on Lake Victoria and that his brother is in your class at the Academy. Do you know a Fimbo Pua van Veer? Father says the coffee crop is excellent this year and that we should do well on exports.
. . . And our daughters, too, went into space. Uazuri Ngumi rose to the rank of Captain, commanding the Laura Reinecke in the Ceti-4 incident. Ingrid Tandiko was the Medical Officer aboard the transport ship Bernard Zuber, which brought the body of Richard Daystrom home to Earth. Mia Kinywa was the First Officer on the Monitor during the Schirmeister crisis. But perhaps best known of all is Nyota Uhura, who served two distinguished tours of duty aboard the U.S.S. Enterprise.
. . . On the second tour, which began inauspiciously as a training exercise, the Enterprise was commanded by Captain Willard Decker, who was superseded by Admiral James Kirk. The story of their incredible journey into the heart of the fantastically vast complex that was "V'ger" has been told again and again, but it is to be noted that Lieutenant Commander Uhura served with distinction.
. . . And on completion of the task and the reprogramming of the V'ger complex, the Enterprise set off again on a limited tour of duty before Nyota Uhura was transferred temporarily to the Hornet. I've met someone. Yes, that kind of "someone." He's handsome and strong, and so intelligent! When I say handsome I don't mean "pretty," like Henry Ngouabi. Handsome men are just as wrapped up in themselves as beautiful women so often are. Both are often shallow, as they have never had to stretch much—things were given to them, opportunities offered, events happened, lives disrupted simply because these beautiful creatures moved among us. No, he's not pretty, but he certainly is handsome. A strong face, definite and clear, like he meant every feature. Nothing wishy-washy about him. Oh, his name, I forgot to give his name! Jomo Murambi. Isn't that a name? Shades of early twentieth century! He's an officer in the Army of the United States of Africa, a captain no less. His unit is a special one, the Special Forces. He's Baker company commander and was wounded at Dar es Salaam in the riot there a year ago, the one started by the Tanzanian separatists. I don't know where to start telling you about him. Remember when we used to talk about our Perfect Man, how he could do this or that, be good at such-and-such and just as expert at something else? "Too perfect to ever exist." Isn't that what you said? Well, my childhood companion, you were wrong! He has a good basso voice, loves to sing, plays the drums, the Terran and the Vegan guitars, has composed a few songs—but they were really marching songs for his company. He plays chess, is rated Computer Minus Three, which isn't bad, since Computer-Equal is as good as you get, really. He was a tree toppler in his teens, a roustabout in the Nudian Desert oil strike, and shipped out to the Martian Colony on a transport ship. But he got in trouble with a super there and they shipped him back. He's a black belt in traditional karate and would love to study null-gravity karate. He reads! I mean books, not just 1000-line screen adventures. He has an original paperback edition of The Butterfly Kid and Cops and Robbers, hardcovers of Cirque, Timescape, and two Heinleins. He loves early science fiction, Louis L'Amour, Donald Westlake, Robert Parker, M'keel von Schroeder, Tasmeel the Andorian, and Kipling. The books have all been preserved, of course. Oh, and he likes old twentieth-century picture magazines! He collects photos of nineteenth-century Africa and India, has the most beautiful greencat plant I've seen, and the most wonderful eyes. I guess by now you are thinking, "Oh, over the edge—!" Well, you may be right. We went dancing last night at Hotel Casablanca, in that famous Sky of Stars room where they have the most beautiful projections on the dome, just like being in space, traveling through the stars. It seemed as though we were alone, although there were a lot of eyes on us. We danced and danced, and there was nothing to jar anything. There is one fact facing me that I just cannot dodge, however. One of us must give up his or her job. Either I stay planetside—or at best, take just months-long trip around the Solar System—or he does. The difficulty is, he has no desire to go into space, at least as a career. It would not be the first time a woman gave up her career for her man. Maybe I'm just jumping ahead too fast! Maybe this is just a passing fancy for both of us. (Or one of us!) But he could not move easily into space. He'd be perfect as commander of security aboard some heavy cruiser, like the Constellation or the Enterprise, leading ashore the troops and all. Yes, I know, we are not a military force, though we use military discipline. But it would be insane to go into unknown territory—really unknown territory—without the greatest variety of options possible. It would be like having only a stick of dynamite to kill a bug. You need all sorts of weapons, and the discretion to use or not use. A good sharp group of security personnel is just the right thing for planetfalls where you don't know what might happen. But that means he'd have to go to Starfleet Academy or at least Security Forces Training Center, and that would be after he wanted to go into space. Even then there would be no real security that we'd be stationed aboard the same starship. Starfleet does try to accommodate married personnel, but you know bureaucracy. So I don't know. But I think I'm in love, Maryanne, in love, really in love, for the first time. I'm going back up to the Azrael tomorrow for a week's duty and I'll write more then. It will give me time to think. Meantime, Jomo has gone off to some little fracas at the border, but he has promised to bring me back something from Cairo. Dateline Obbia, Somalia Province, United States of Africa: Fighting broke out today in the troubled Somalia Province in East Africa when Tanzanian terrorists seized a supersonic jet with 312 aboard, including the Consulate General of the Arab Republic and Kenda Porter, the sultry star of The New Thief of Bagdad and Queen of Sheba. The jet, grounded at Obbia International Airport, was successfully attacked by a crack unit of the U.S.A. Special Forces. All terrorists were killed, two passengers were slightly wounded, and the only Army casualty was its leader, Captain Jomo Murumbi, a veteran of nine years’ service. Miss Porter pronounced the dead captain a "true hero" and said that she would make his life story her next holographic feature. My next assignment is very exciting. I'm to be Chief Communications Officer aboard the Enterprise! It's a fine ship with a good record, and we will be beginning a five-year voyage not long after I arrive. I don't know now whether I will be able to get down to dirtside (as we say in Starfleet) or not. I hope so, but my connections are going to be tight. I'm leaving the Azrael here at Pollox VI, taking a scout ship, the Selinger, to Upsilon Xi III. There I hope to catch a commercial liner (they tell me either the Charles Lee Jackson II, the Falcon, or the Thrush, depending; maybe even Queen Elizabeth III!) to Levitz-5. Then a short hop to Earth via Alpha Centauri! Is that not a 3-D map of Sector 9? But to get aboard a cruiser going on a five-year—! The new Starfleet policy of not sending survey ships into areas that have not been at least given a once-over by a heavy cruiser is probably a good one. The big ships can handle a lot, take a lot, and, if they must, put out a lot. So I'm really looking forward. We were on our way to Beta Aurigae when Uhura reported a distress call from Camus II. Captain Kirk took us there at once, but the landing party found only two left alive, Dr. Janice Lester and Dr. Arthur Coleman. The surviving archeologists who had been exploring the ruins there were beamed aboard and told of the others dying of celebium radiation. What we did not know at the time was that Dr. Lester knew the secret of entity transfer. It was to Uhura, in private, and later to others, that Dr. Lester revealed a grudge that had haunted her for years. Uhura told me, "She knew Captain Kirk when they were cadets at the Academy. She's very ambitious and they were once, briefly, in love. But her ambition was too raw for our captain, and he walked out on her. She never forgave him." Uhura went on to say that Dr. Lester never realized that her own passions had forced the issue between them. "She spent years studying ship operations and thought a captaincy was her due," Uhura said. "She never understood that knowing how to pilot a starship is hardly the only factor in being a captain." What happened next happened swiftly. Dr. Janice Lester effected an entity transfer, trapping Captain Kirk in her body while she was in his. She effectively had taken over the Enterprise. She tried to kill her own former body with Kirk trapped within it, but was prevented by the return of the remainder of the landing party. Dr. McCoy put "Janice" into sickbay, thinking that in some fashion she had gone insane, claiming to be Jim Kirk. Sedation effectively neutralized our real captain while the Lester/Kirk controlled the ship. The imposter decided to abandon "Janice Lester" at the Benecia Colony, thus getting rid of both her former body and the troublesome Kirk personality. But the diversion of the ship made several of us suspicious. Commander Spock affected a mind meld with the imprisoned "Janice Lester" and found that, indeed, James Kirk's personality was within the female shell. The Janice/Kirk became hysterical and tried Mr. Spock for mutiny. During the testimony both Dr. McCoy and Mr. Scott became convinced that an entity transfer had somehow been achieved and they were charged with mutiny. When Janice/Kirk called for a death sentence, we all knew that our real captain was not in command. When we refused to obey the commands of the usurper, the entity transfer began to weaken. Had Janice/Kirk been able to leave her former body behind, the retransfer could not have taken place and she would have been safe. Dr. Coleman was appealed to by the now nearly hysterical Janice/Kirk, who agreed to "her" demands to kill everyone. But before that could hap pen the transfer broke, returning the real Janice to her own body and our captain to his body. "She was insane with hatred," Uhura said. "She made a desperate, last, sad attempt to kill Captain Kirk, but collapsed in tears. Doctor Coleman was in love with her, and he promised to take care of her ever after. "It was a very sad affair, but she had always thought the reason she had not been advanced to her own captaincy was that she was a woman. She never understood—in fact, she was probably incapable of understanding—that the real reason was that she had of very narrow understanding of other humans." I remember Uhura sighing, then saying, "I can understand loving someone, and I can understand hating them when that love died. But I can't understand wanting to destroy someone you once loved." Tribbles come in a variety of colors: blond, beige, white, tan, and deep auburn, as well as a variety of soft pastel hues. They are small furry creatures that were introduced by a somewhat shady startrader named Cyrano Jones. He repeatedly refused to divulge the source of these almost featureless animals for fear of his monopoly being broken. My theory is that they are a genetic construct of the facile scientists of the Romulan Empire, for while they seem warm and cuddly to human/humanoid races, they react adversely to the presence of Klingons, who are their genetic brothers. The genetic engineering of the tribbles seems to be oriented toward complete compatibility with "anything that moves," as Dr. Leonard McCoy wrote, "Except Klingons, who refer to them as 'parasites.'" The first encounter of human and tribble occurred aboard the U.S.S. Enterprise, Captain James T. Kirk commanding. The starship received an order from Starfleet Command to protect Space Station K-7, which had a load of valuable quadrotriticale grain in its storage bins and a gang of Klingons in its recreation rooms. Under the terms of the Organian Peace Treaty, Klingons were allowed Rest & Recreation at this class of space station and at certain planetside bases of the M-3 class or higher. Their presence, however, made the manager of the station very nervous. Captain Kirk was aware that the rare wheat was important, for it is a high-yield, perennial, four-lobed hybrid, the only kind that can grow and successfully survive on Sherman's Planet, a famine-struck Federation world near enough to the neutral zone to be in contention between the Federation and the Klingon Empire. Involved as he was in an ongoing argument between a Federation Undersecretary for Agriculture, the Station manager, and his own distrust of the Klingons, Captain Kirk did not notice what was to develop as a far greater threat: the introduction of tribbles into human space. Cyrano Jones had routinely docked at K-7 and had been much taken with the beauty and charm of the Chief Communications Officer, Lieutenant Uhura. "They seemed harmless enough," Nyota Uhura said later. "All they do is eat and, uh . . . multiply." Dr. Leonard McCoy, Chief Medical Officer, said, "I discovered that they seemed to be born pregnant, an overlapping of functions which seemed astonishing and which I at first disbelieved. The more they ate, the more tribbles they had. Their amount grew logrithmically, not arithmetically." James Kirk wrote, "They overpopulated the ship in no time from the single specimen brought aboard quite innocently by Lieutenant Uhura. There were tribbles all over the space station as well. Suddenly we were up to our communicators in soft, furry, cuddlesome tribbles! They especially loved the hybrid grain. I opened a storage bin and was inundated by tribbles—dead tribbles. It was then I discovered that the Klingons had poisoned the grain, hoping for a devastating famine on Sherman's Planet, and an emergency evacuation, to be followed by a swift Klingon takeover. "When I discovered that Klingons do not like tribbles, and very much vice-versa, I was able to uncover a Klingon disguised as a Terran bureaucrat who had poisoned the grain. Lieutenant Uhura was agitated herself to have to give up her delightful tribble, but knew it was for the common good. "If they weren't so marvelously fertile," she said, "they'd make the warmest of pets. But . . ."
Click here to read this Hugo and Nebula finalist saga in ebook right now for only $2.99 in Kindle from Amazon (free for Amazon Unlimited. An enthralling novel of the men and women of the far frontier! Uses the classic TOS trope of a planet with parallels to Earth history, sure to please all Star Trek enthusiasts. Bonus: An interview with William Rotsler about writing science fiction, Star Trek books & media-tie-ins. 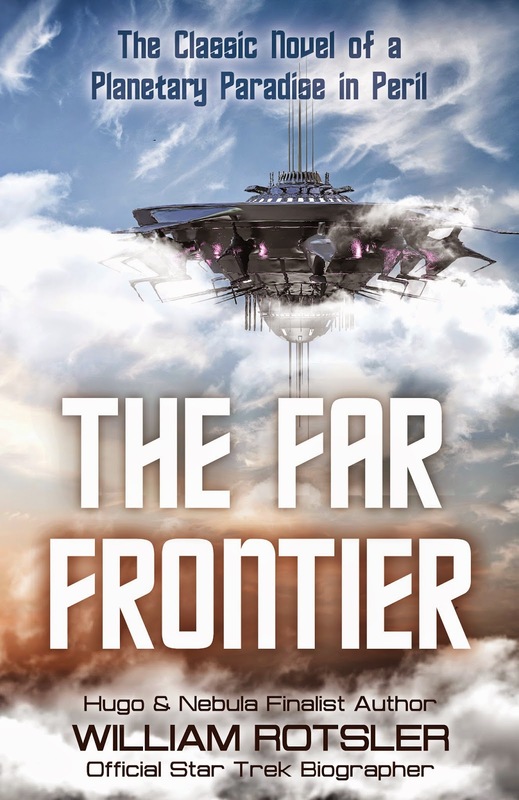 Buy The Far Frontiers - only $2.99 in Kindle at Amazon.